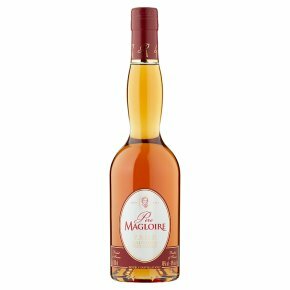 Pere Magloire VSOP is a very fine Calvados that has been double-distilled and then aged for at least four years in oak casks. Showing all the typical Pays d'Auge characters of apple blossom aromas and a fine, crisp, red apple flavour, this is smooth enough to be served on its own as a digestif. Double distillation. Since 1821, Père Magloire has been keeping alive the tradition of Calvados; one of the oldest of all French brandies and protected by AOC (Appellations d'Origine Contrôlée). Its intense apple aromatic notes have brought it worldwide renown.